Brittany: The host (Kevin O’Shea) was awesome! I loved that he started with “This is the most fun you are going to have in a basement in 2013” because I think that is true. I haven’t had that much fun in a basement in a while. Katie: I definitely didn’t feel lied to, which is always nice. Shockingly good for $10. B: I thought it was funny. I was super nervous that it was going to be a bit of a mess, ‘cause it seemed unorganized when we first got there, but once we got downstairs it all made sense. It’s a really good space; laid back, cozy, basement-y atmosphere. B: So, who was your favorite comedian? K: Um – oh god, I’m not sure – the comedians were so diverse, I liked them all for different reasons. B: I also appreciated that there were two women comedians, and usually I don’t think woman are very funny, which I guess is bad on my part, but whatever THEY (Shanti Charan and Kelly Anneken) were both surprisingly hilarious. K: Maybe next time. 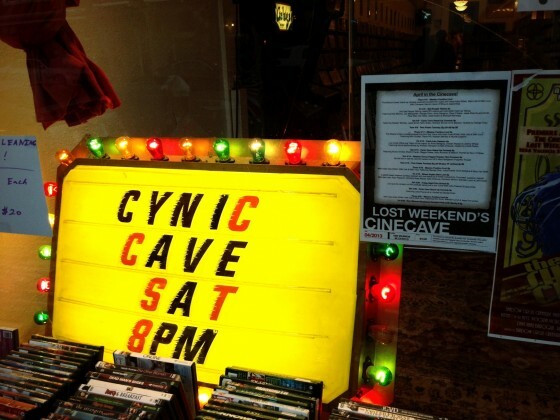 I can’t believe that Cinecave has been around for a year and we haven’t heard about it. B: And that there were seats left! There are so many things in the Mission now where you spend a lot of money and don’t necessarily have a great time, when there is something that is affordable AND you can have a great time it should be packed…Maybe we shouldn’t tell anyone. K: You’re right. Let’s stop this review – no one needs to know. Go see it! This will be the best $10 you’ve spent to hang out in a basement! The basement is cozy, if you want to be cozy too get there early to snag one of the cushy theatre style seats. Otherwise you’ll get stuck on a metal folding chair. No matter what, this is the most fun you’ll have in basement in SF. After kicking off the evening at Cinecave we wanted a straight forward dive bar. We chose Mission Bar for the comfy booths, laid back atmosphere and cheap drinks. 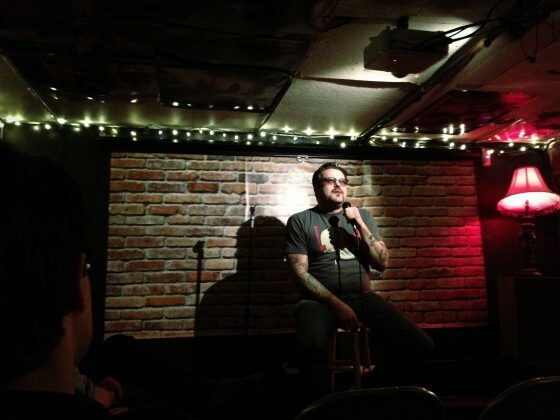 This is comedy in a video store basement and drinks at a dive bar, order simply. We had a rum and coke and a vodka ginger ale. hi there, fantastic post you might have the following. I will examine again this post before long. your infos had been excellent of course. Continue the good perform.